​With the record dairy pay out boosting confidence, last year saw the highest number of tractor sales nationally in a decade. Waikato easily held its traditional position as the largest regional market in the country, with well over 600 tractors above 40hp delivered to farmers and contractors. Capitalising on the favourable conditions and buoyant sentiment, Case IH finished the year as the new leading tractor brand in the Waikato, with over 150 machines sold to customers via its retail outlets in Cambridge, Otorohanga, Paeroa and Huntly. Operations Manager for Case IH, Tim Fanning, was delighted with the achievement. “It’s a great feeling to get to number one, especially here in the Waikato where it’s fiercely competitive. It’s a credit to the local Case IH dealers that represent us, they truly understand the customer is king and build their business around delivering superior service. We know we have the best products, but without the best back up and support you can’t be market leader”. 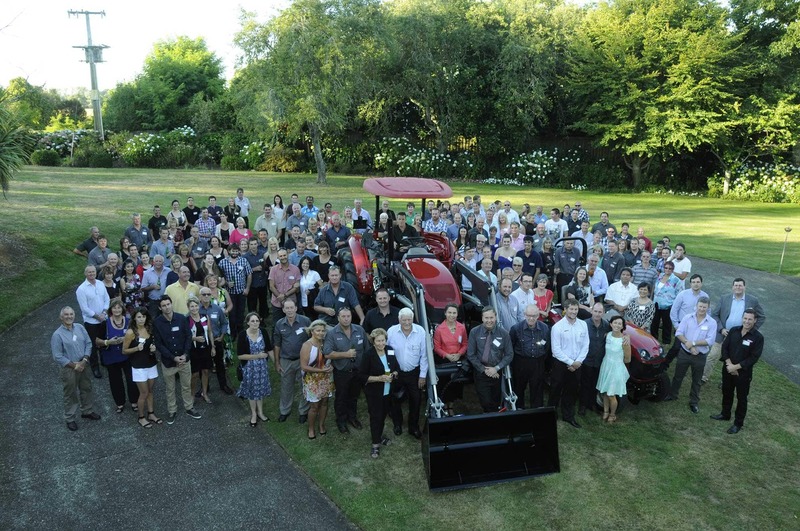 Tim also acknowledged the customers that have made Case IH Waikato’s favourite tractor brand. “We thank each and every one of our customers for their loyalty and support which has enabled us to reach yet another fantastic milestone”. "​We thank each and every one of our customers for their loyalty and support." To commemorate the occasion, Case IH hosted 160 of its dealer staff at a function in Hamilton, where awards were presented to dealer principals Andrew Giltrap (Giltrap Agrizone), John Whyte (Whyteline Ltd) and Phillip Gill (Roger Gill Agriculture). “We’re here to recognise a great accomplishment, but our challenge now is to ensure we stay at number one” commented Andrew. A highlight of the evening was a message from Case IH global brand president Andreas Klauser, acknowledging the effort and determination of all those in attendance. Despite the drop in dairy prices, 2015 is expected to be another solid year for tractor sales as the longer term outlook keeps confidence levels high. Case IH is imported in New Zealand by C B Norwood Distributors Ltd.
For all other enquiries, visit our Contact Us page.